View P6 schedules from anywhere with PrimaViewer! Anyone on your project team can now view schedule data, enter activity work status and generate custom reports to share with select project stakeholders. Give your entire company access to PrimaViewer for one low monthly cost! We have plans for 1 to 500 users. Pay as little as $5 per user per month. 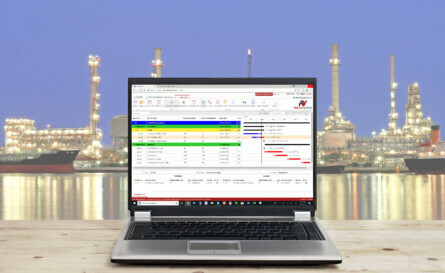 PrimaViewer was designed by Primavera P6 Certified Schedulers! 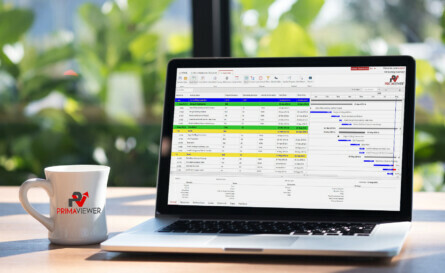 As experienced Oracle Primavera P6 certified & PMI certified schedulers, we built PrimaViewer based on our own scheduling needs. Step 1. It’s easy! Just login to PrimaViewer via the web and upload your XER file from your PC, flash drive, or server. UPDATE ACTIVITIES & RUN REPORTS! Step 3. Update current activity percentages, create custom reports with feedback and share your data, all from PrimaViewer!